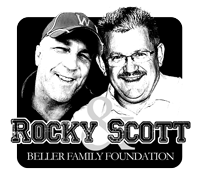 Call Donnie Beller (405-550-0082) if you would like to arrange to donate by another method. The Warrior Pledge is a commitment to give a certain amount over the next 18 months (ends Sept 1, 2013). You can give to the project by whatever schedule or amount you choose (example: $30/month or $10/week or one time $500). You can pledge publicly or “anonymously”. Pledges are not contractually binding. We are counting on your pledge and want folks to be committed but not feel like they are legally obligated. You Decide Pledges - Examples: $50/month for 18 months = $900.00 or $10/week for 18 months = $780.00; whatever you decide, it's up to you. 1000/1000 Challenge: $56/month for 18 months is approx. $1000 - part of our fundraising goal is to encourage 1000 people to give a total of $1000.00 over the 18 month time frame which is $56.00/month and would raise $1,000,000 for the project. Click here to download the form to have First American Bank automatically withdraw your pledge based on whatever amount and frequency you choose. This can be cancelled any time by contacting the bank. 3/19/2012 H & H Plumbing Donated Labor & Material for sewer/storm drains/water etc.